Nursing is a high demand job and keeping up with your patients with achy feet during your 10-12 hours shifts doesn’t make it any easier. As a nurse you probably spend more than half your day walking and standing; which over time you may begin to feel foot pain, fatigue, and discomfort. 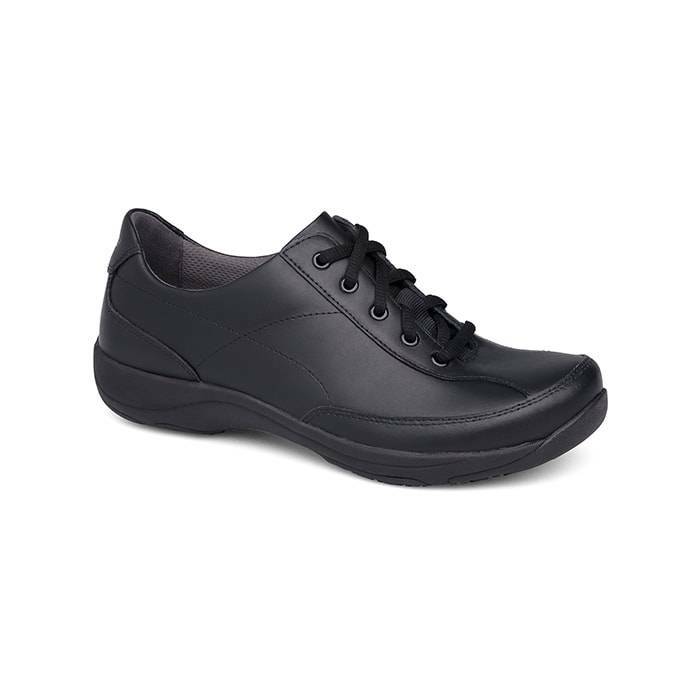 As a result, you should buy comfortable nurse shoes with good support, stability and keep you comfortable all day! 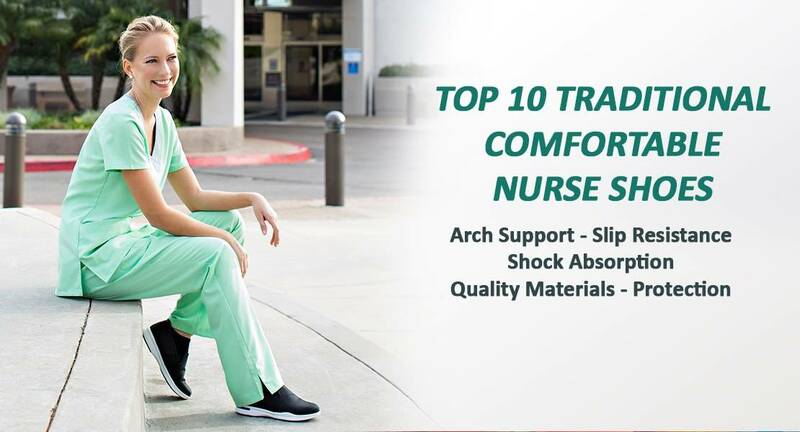 Therefore, if you prefer Traditional Comfortable Nurse Shoes over tennis shoes, we have compiled a list of Top 10 Traditional Comfortable Nurse Shoes for your comfort! 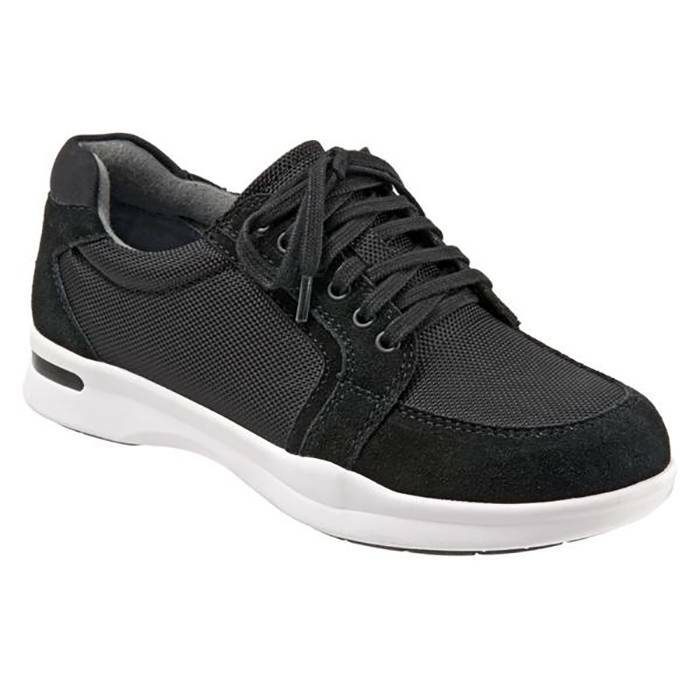 However, if you prefer nurse tennis shoes, click here for 10 BEST TENNIS SHOES FOR NURSES. 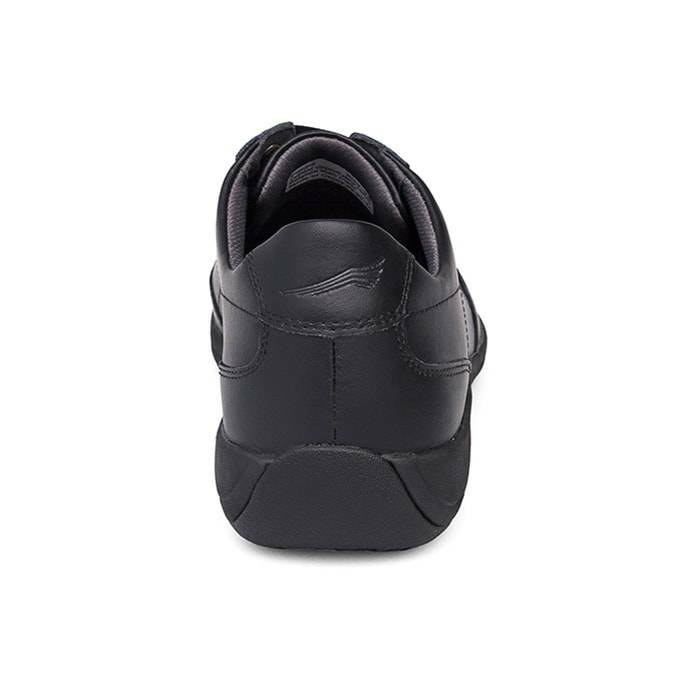 Our top picks consist of comfortable shoes with great support and stability; which provide excellent back and ankle support to help eliminate or reduce foot, leg and back pain. 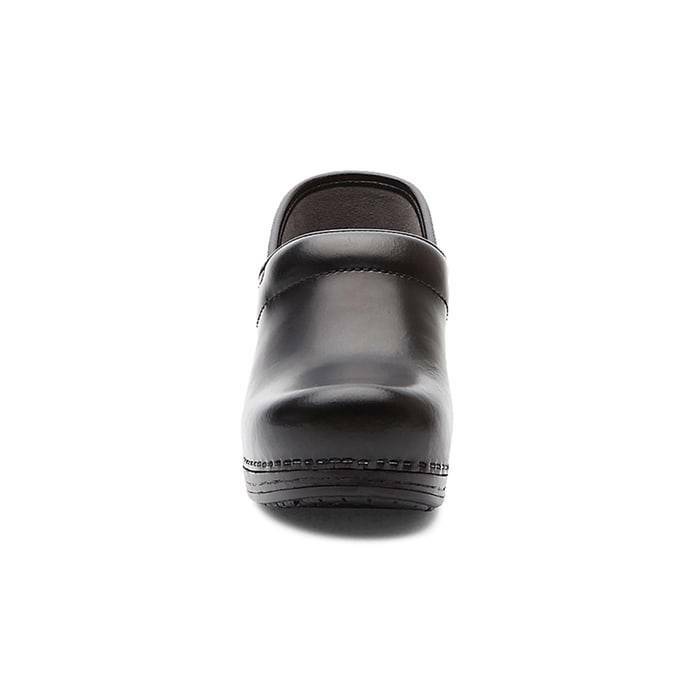 But before we get into it, let’s help you understand what makes a great comfortable nurse shoe. 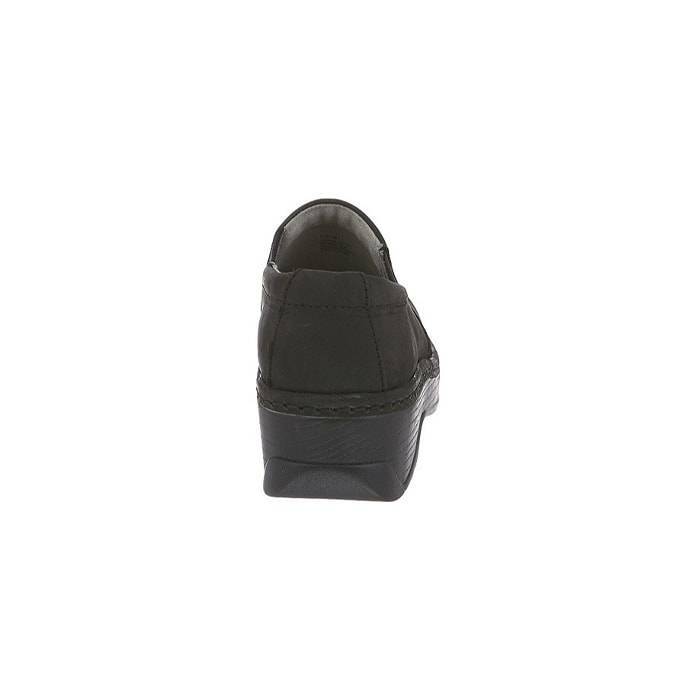 What should I look for when buying Traditional Comfortable Nurse Shoes? 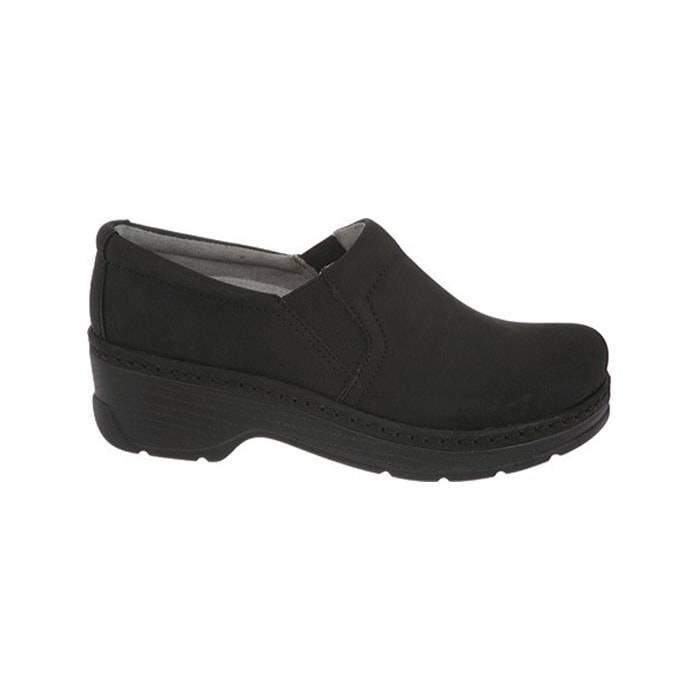 Ideal comfortable nurse shoes should keep you supported through your busy shifts. Therefore, they should offer you arch support to keep your feet from flattening out and help limit pronation. 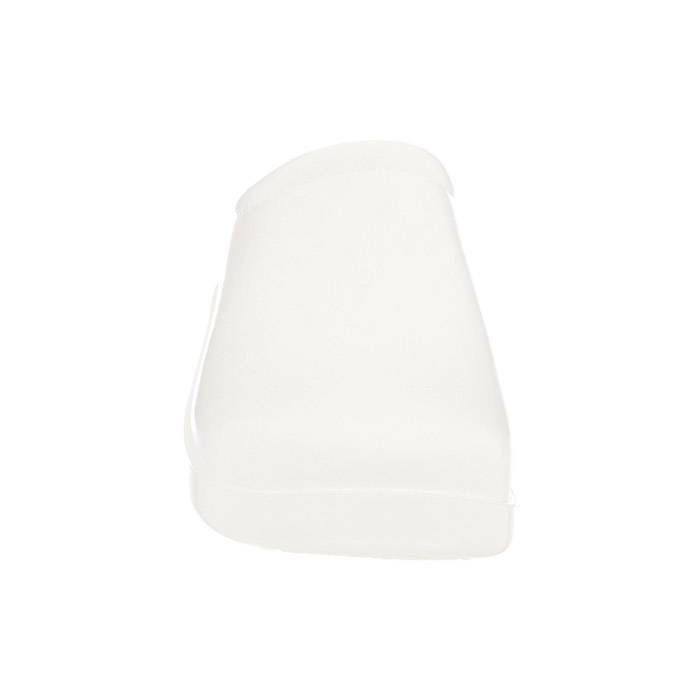 Slip resistance is also a huge factor when shopping comfortable nurse shoes since most nursing environments are characterized by liquids and spills. For the most part, a good slip resistant shoe can prevent you from slip injuries. 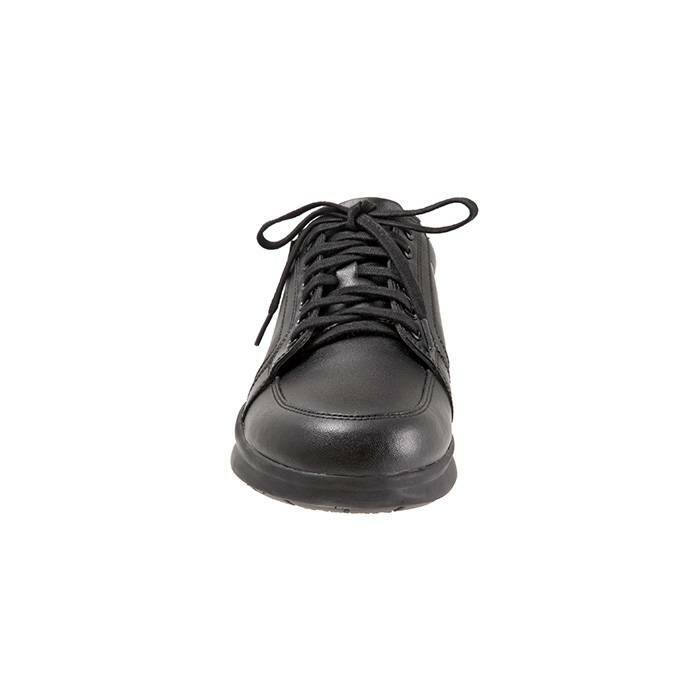 Since you are on your feet for long hours, a comfortable nurse shoe should help minimize or absorb harmful shock from the ground up. 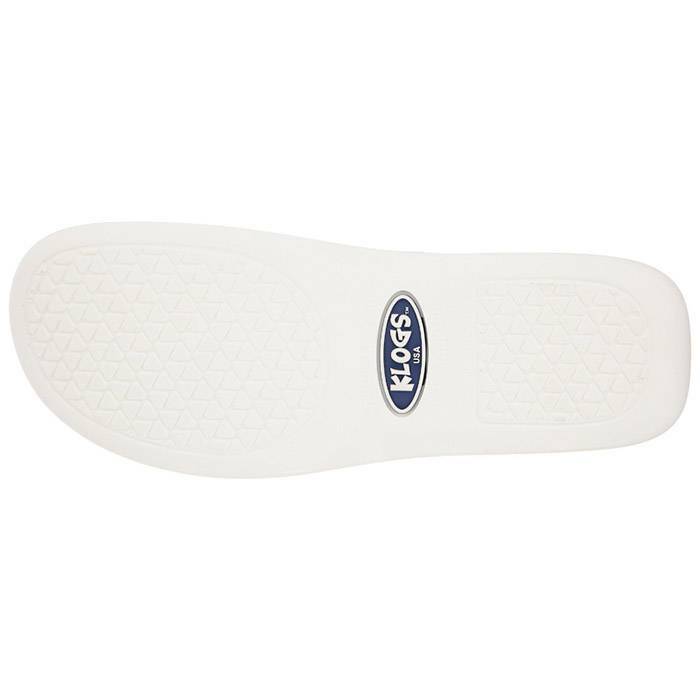 Good shock absorbing shoes are made with thick rubber outsoles for shock-absorption and traction. The quality of the shoe material is just as important as comfort. Leather is always the best choice for its durability, life, and breathability. Also, it is lightweight so it’s less weight on your feet. 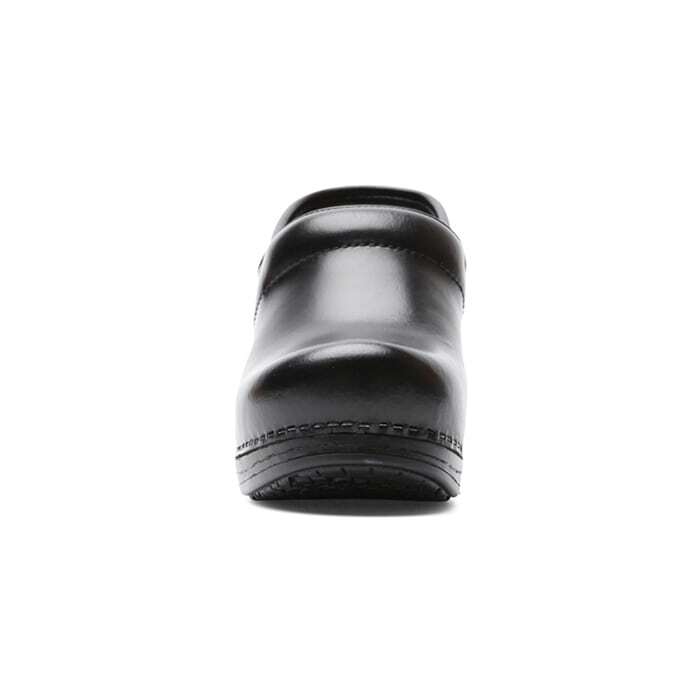 You are probably working in areas where there is heavy machinery or objects that can potentially fall on your feet, so protecting your feet should be essential to your shoe selection. So, make sure your nurse shoes provide good protection against these types of hazards. Not all nursing shoes are made equal! They come in different brands, styles, designs, and materials. Some of the most popular traditional nurse shoes include clogs, mules, and lace-ups. 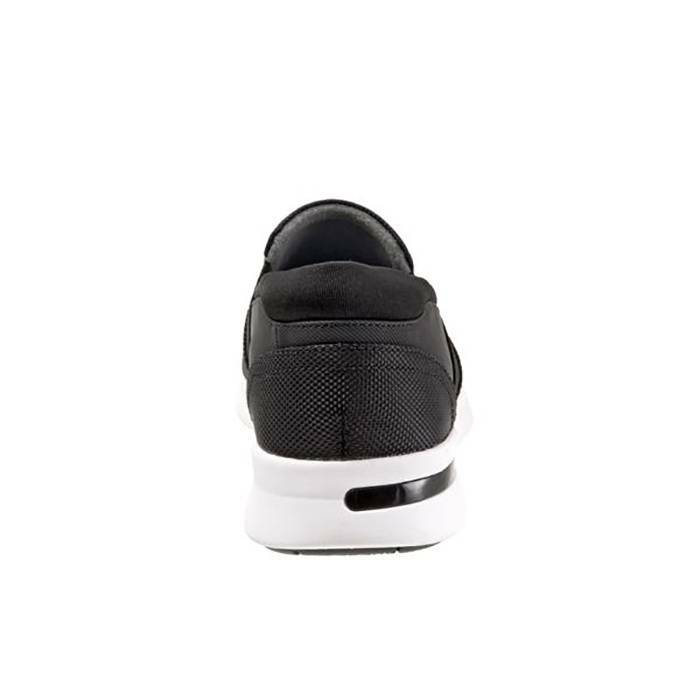 Therefore, each shoe in our top picks has its own features; which provides you with different shoe options depending on your style, needs, foot type and medical condition. Now that we understand what makes a great comfortable nurse shoe, let’s take a look out our Traditional Comfortable Nurse Shoes top picks! 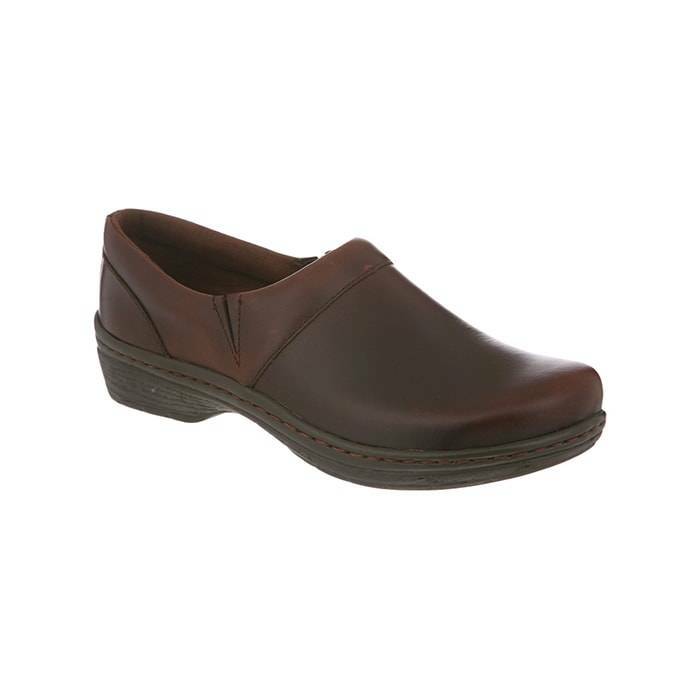 The Dansko Women’s and Men’s Professional Clog delivers all day comfort; all thanks to its contoured insoles, rocker bottom outsoles, and quality leather uppers. 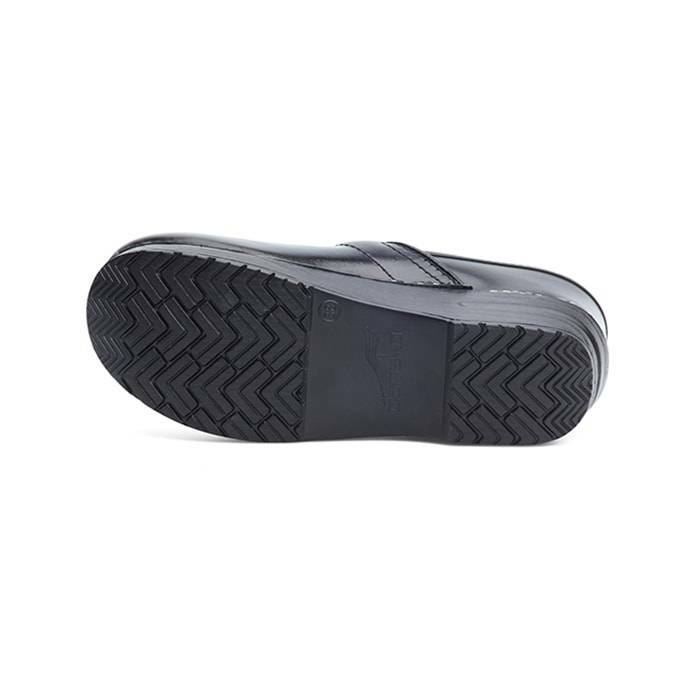 Not to mention, this clog’s contoured insoles provide comfort, support, and stability by keeping your foot cushioned and stabilized with every step. 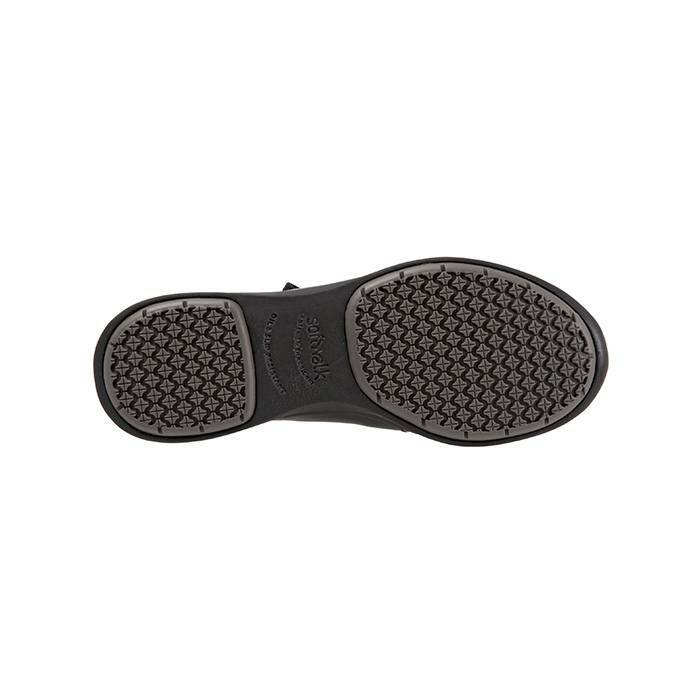 Also, the shoe’s rocker bottom polyurethane outsole propels your foot forward for a natural stride, hence, reducing fatigue and keeping you comfortable on your feet during your full shift. 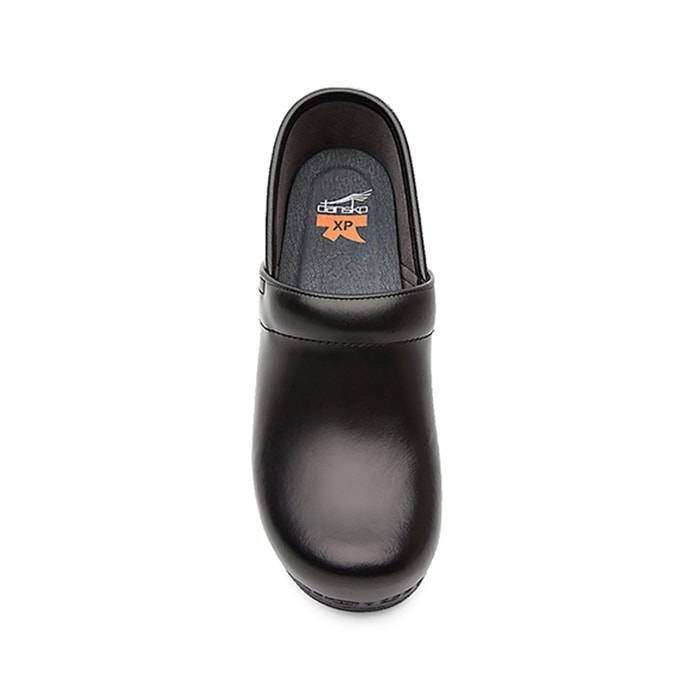 In addition, this Dansko Professional Clog is made with quality leather uppers for durability, protection and it’s easy to clean. 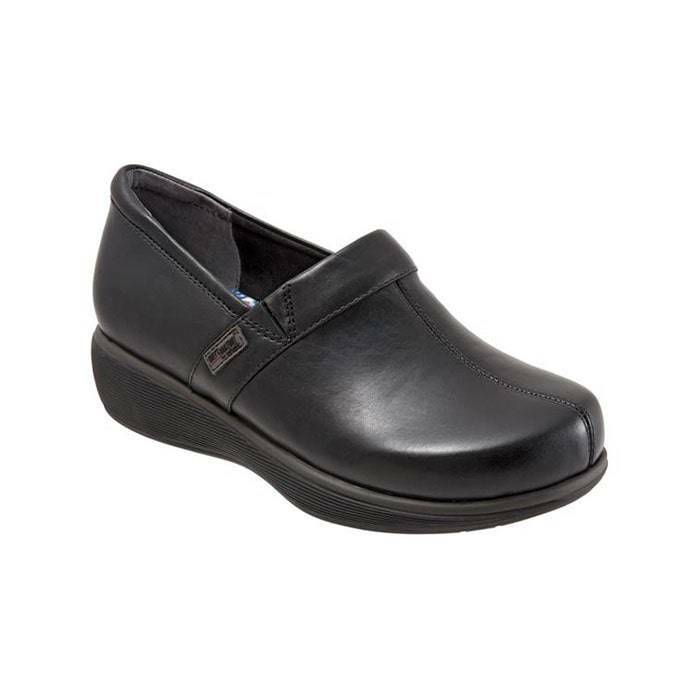 The Dansko XP Pro is a great nurse shoe for its padded instep, memory foam insoles, and slip resistant outsole. 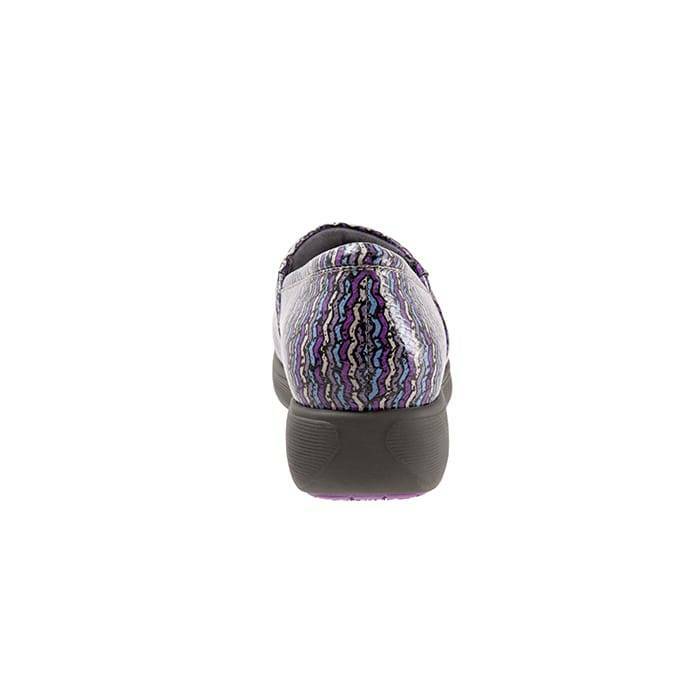 The shoes’ memory foam gives you an ultimate cushioned comfort with every step. 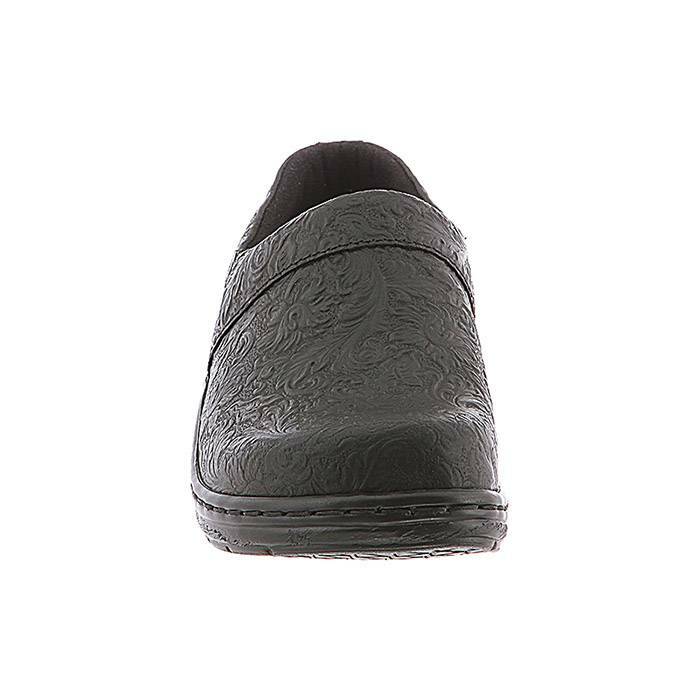 This clog features a removable insole which accommodates most over-the-counter insoles and custom orthotics when extra support is needed. 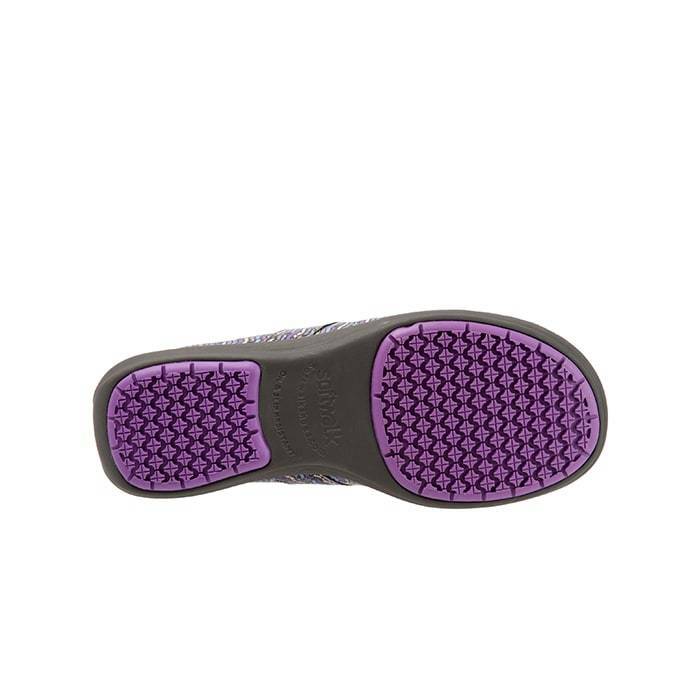 Not to mention, they are known for their great support, resistant outsoles and slip resistance. 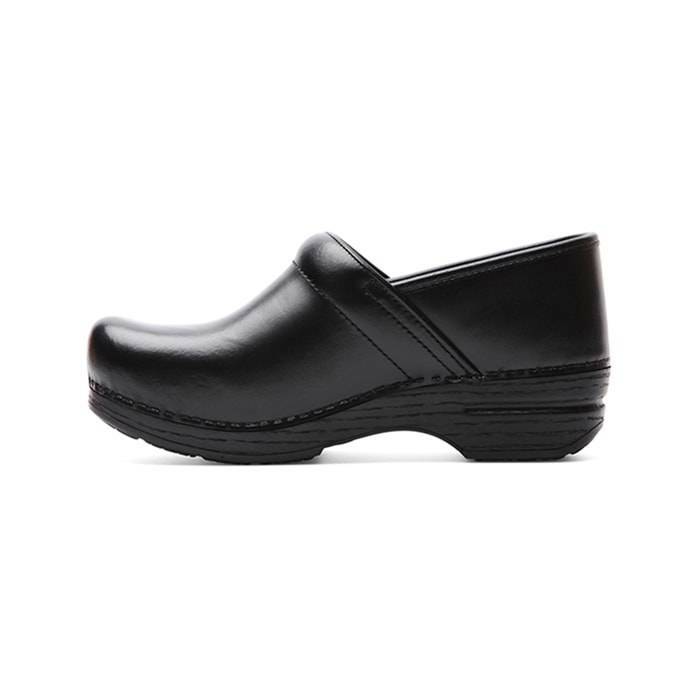 The Softwalk Meredith Clog is great for nurses and all other professionals who spend hours on their feet. 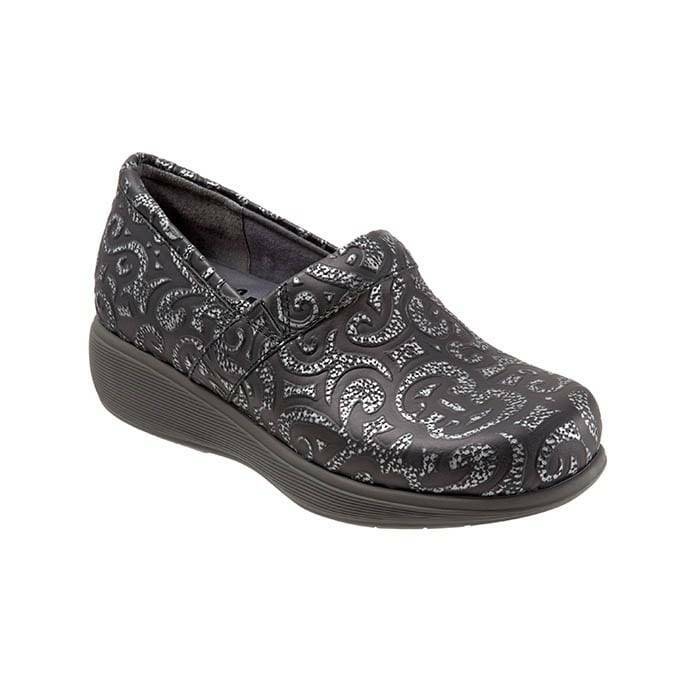 This Meredith clog features a whole new bottom from SoftWalk that is ultra-lightweight and flexible. 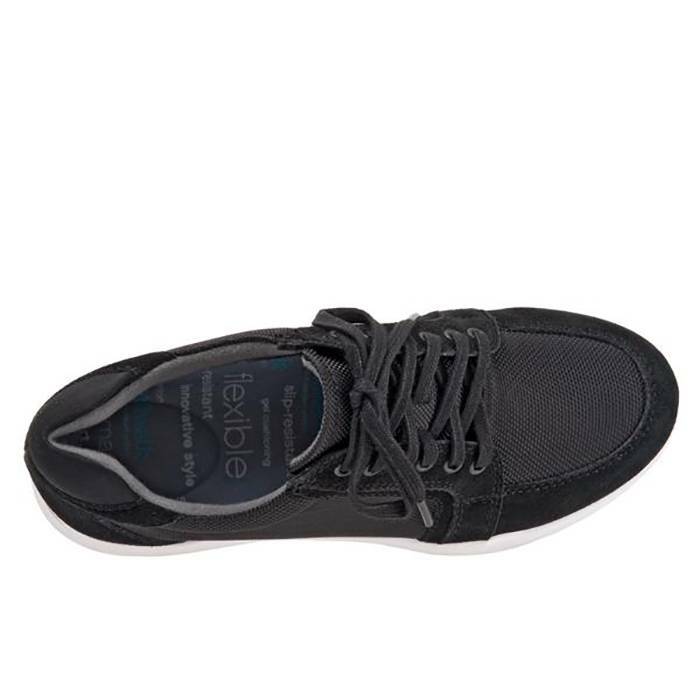 Also, this shoe makes it possible to stay energized as its flexible EVA sole returns energy with each step. 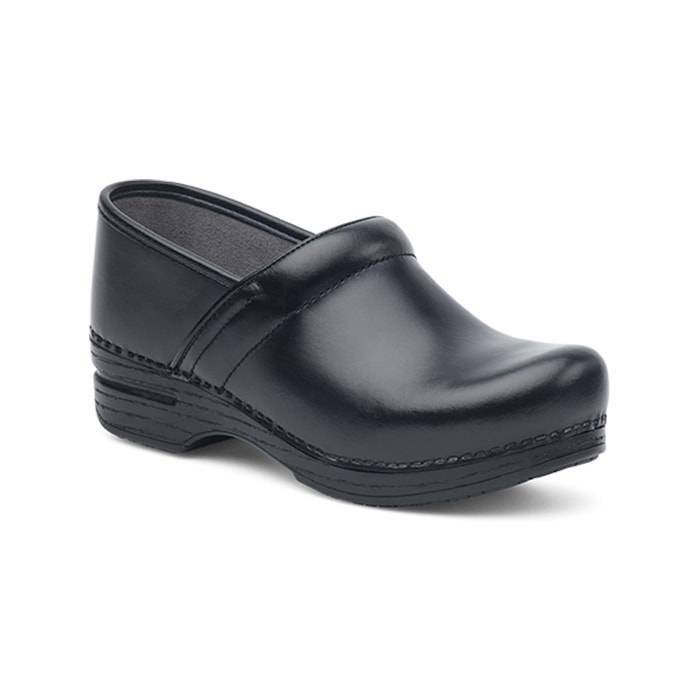 This classic clog look is perfect for any nurse is looking for total and complete comfort. Identically, this clog makes it possible for you to stay comfortable during your long shifts as its dual-density footbed cushions your every step. 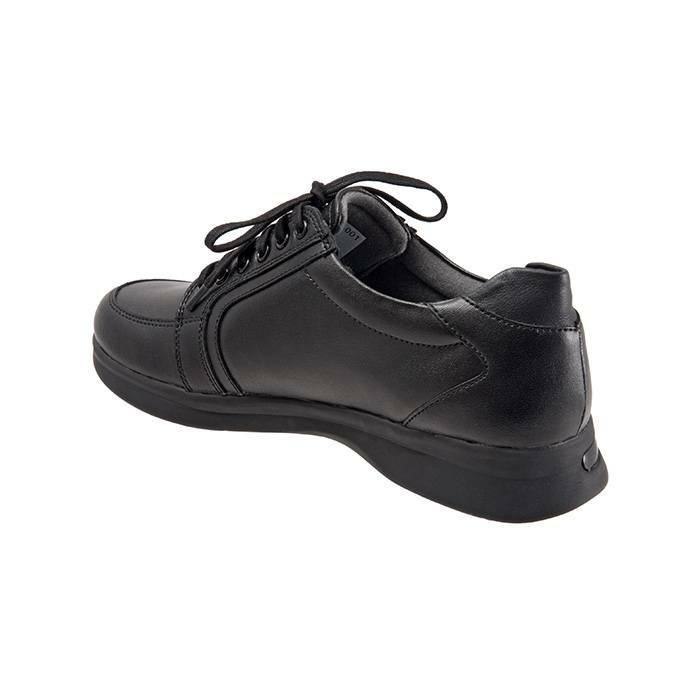 In addition, this nurse shoe provides outstanding slip-resistant gripping for a secure fit in slippery environments. 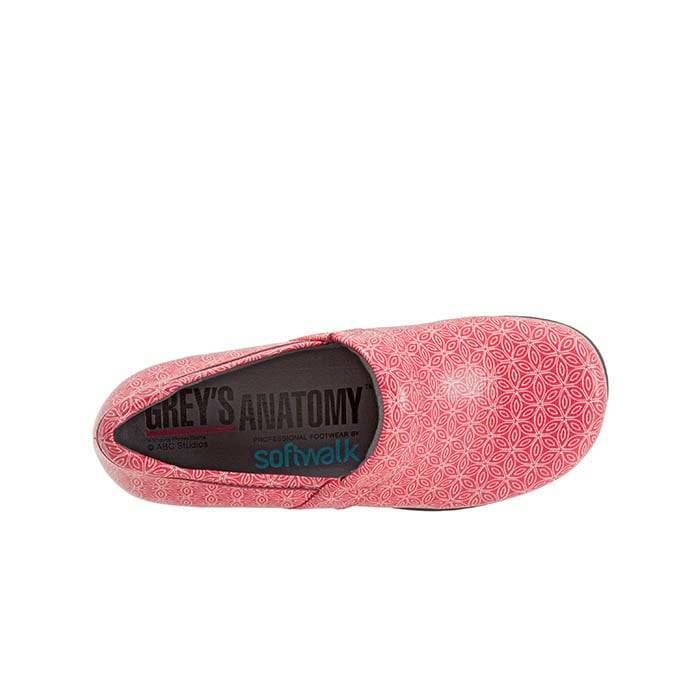 This Softwalk Meredith Sport is very similar to the Meredith. 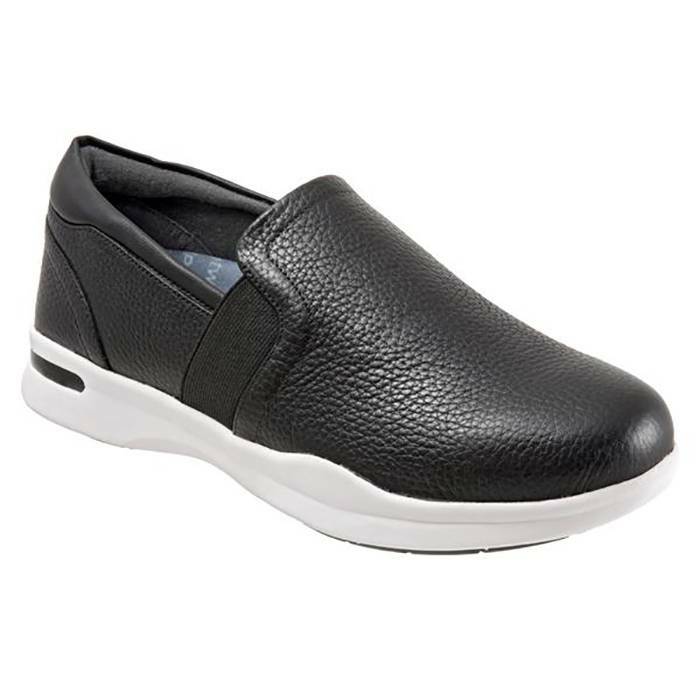 Both are comfortable, supportive, slip resistant and are made with leather uppers. However, the biggest difference between the two is their insoles. 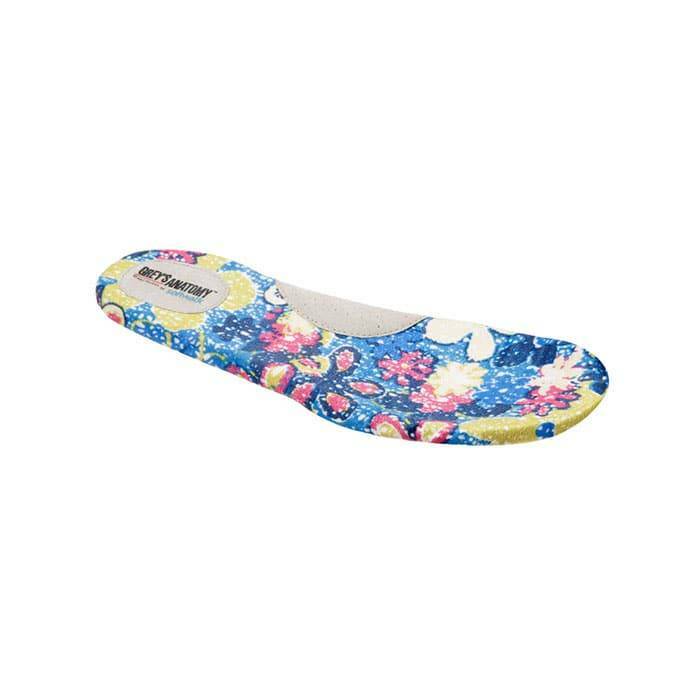 This Softwalk Meredith Sport comes with a removable insole; which is great for those who require extra arch support from orthotics. Just like the original Meredith, his Meredith Sport nurse shoe features an ultra-lightweight EVA sole, plus its sole returns energy with each step. 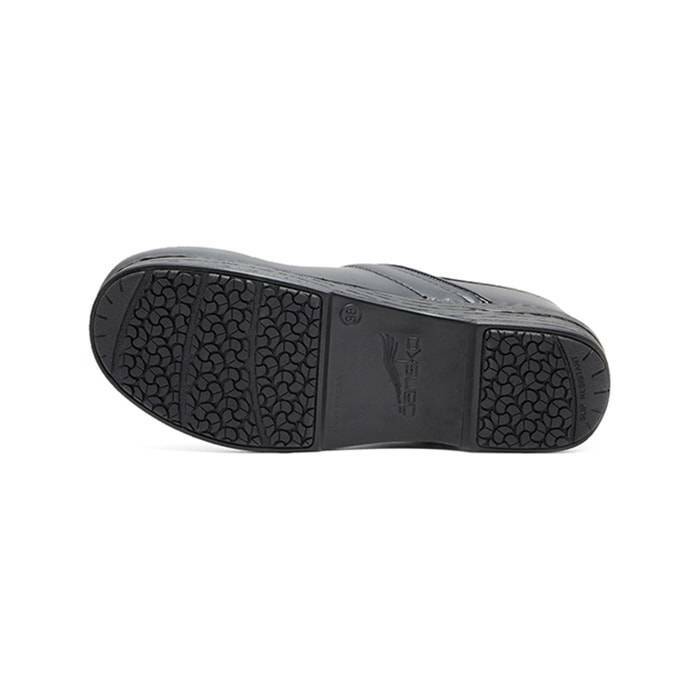 In addition, this shoe gives you a slip-resistant gripping for a secure fit in slippery environments. 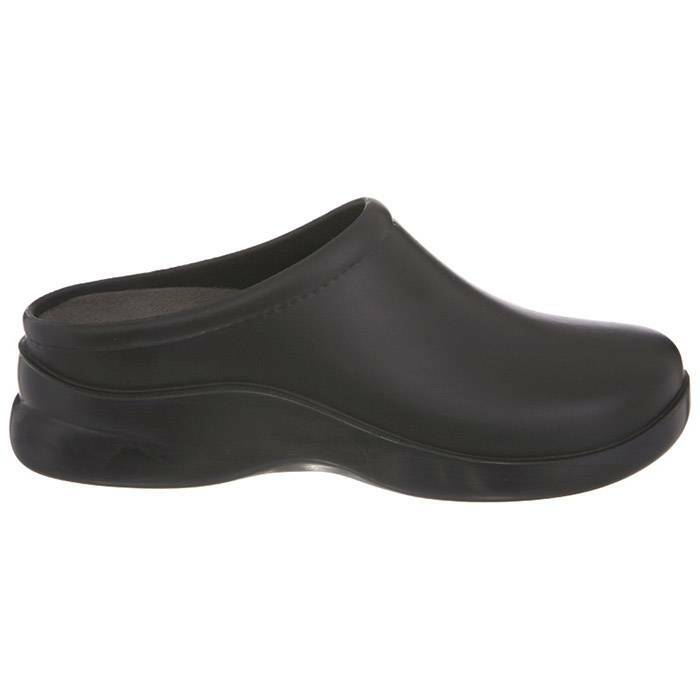 This comfortable clog is made with a wider toe box for comfort, a padded collar, removable footbed to accommodate most custom orthotics, and this shoe is slip resistant for safety. 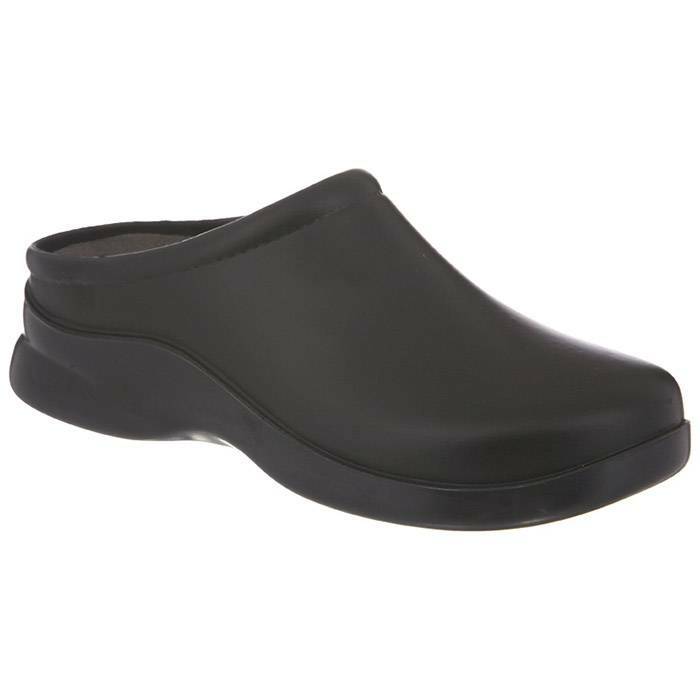 Also, this Naples clog features removable footbeds with deep heel cups, soft cushioning and excellent arch support for all day comfort. 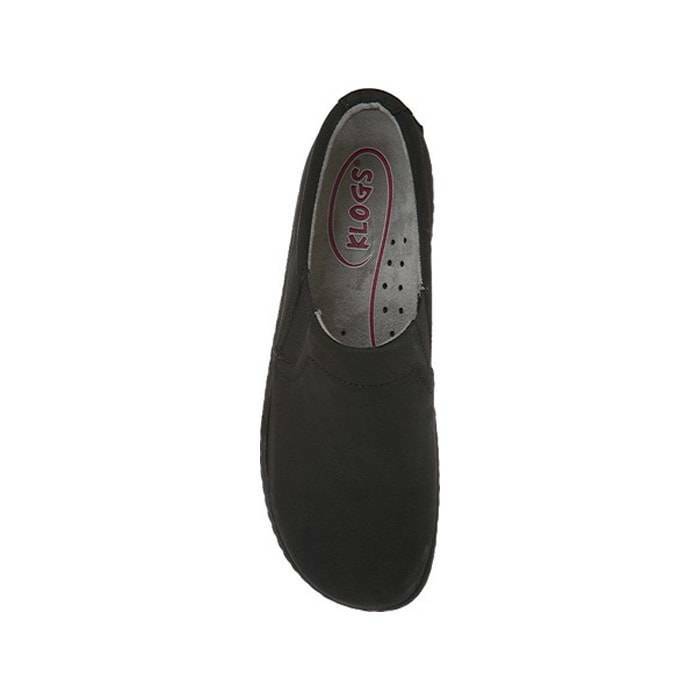 At the same time, its footbeds are removable so this Klog is great for nurses who have plantar fasciitis and require a custom orthotics. 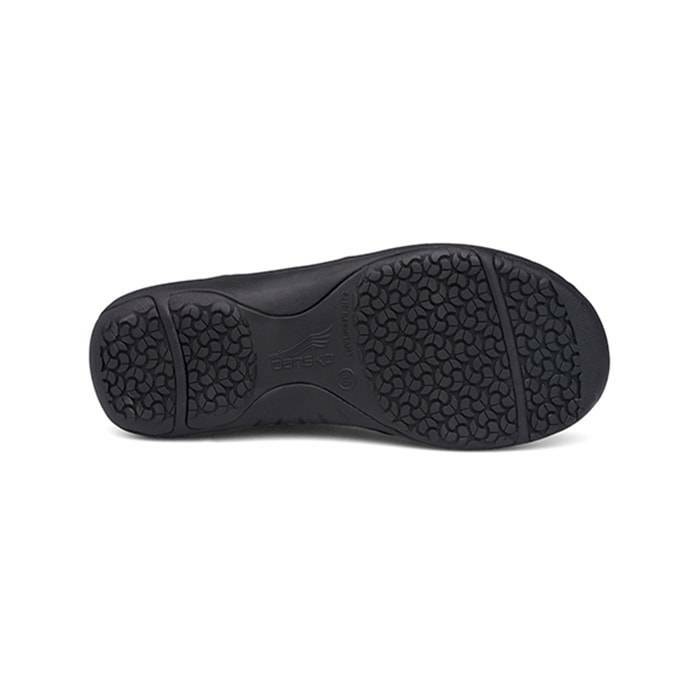 Finally, it’s slip resistant rubber outsole ensures a secure step. 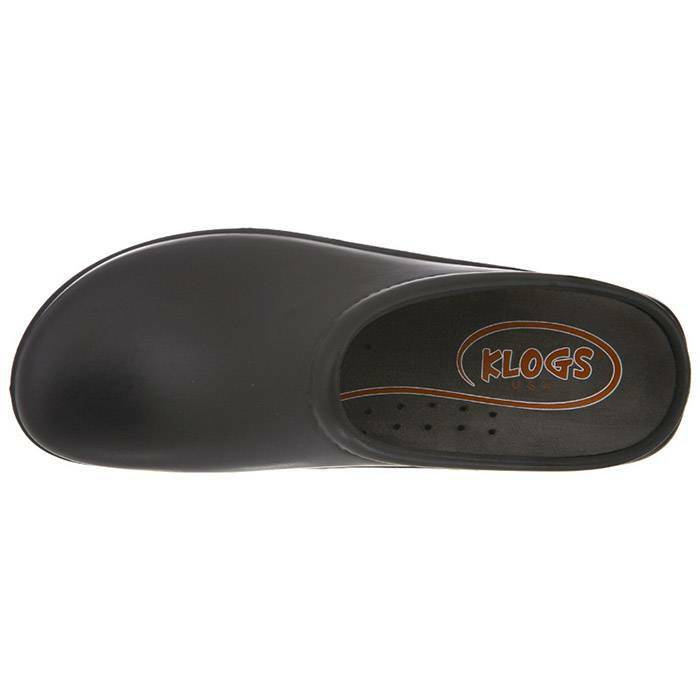 The Klogs Mission clog is a more affordable clog compared to the Naples. 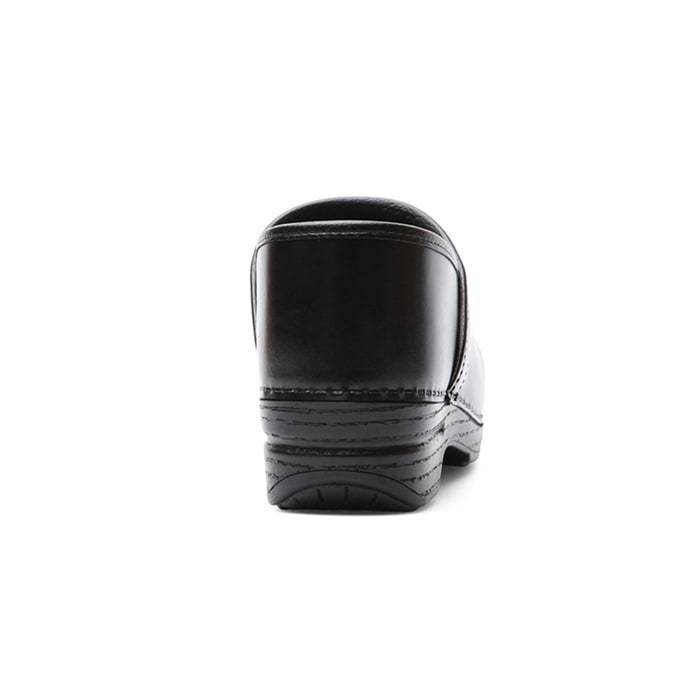 Even though it’s a bit cheaper in price, this shoe still offers a lot of great features offered by the Klogs Naples. This comfortable clog features side goring for a snug fit and a padded collar. 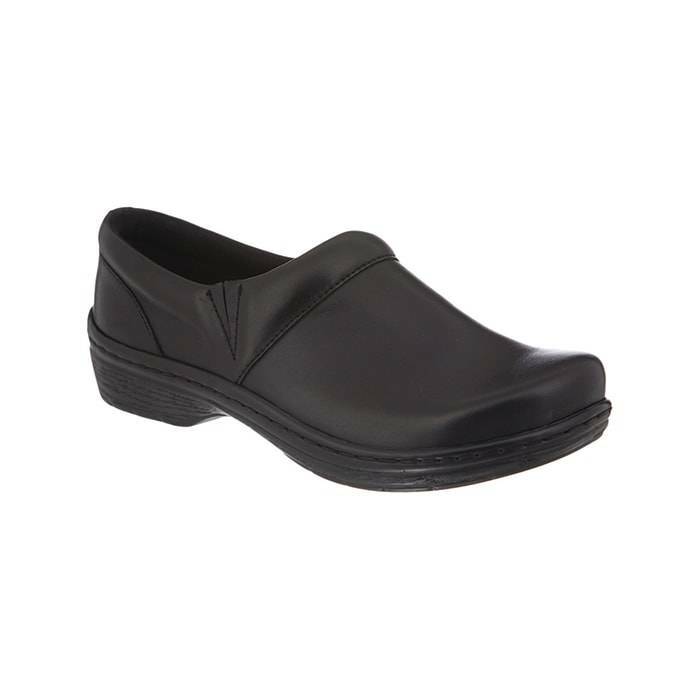 Similar for to the Naples, this Mission comes with a removable footbed that is latex-free, antimicrobial and odor-resistant! 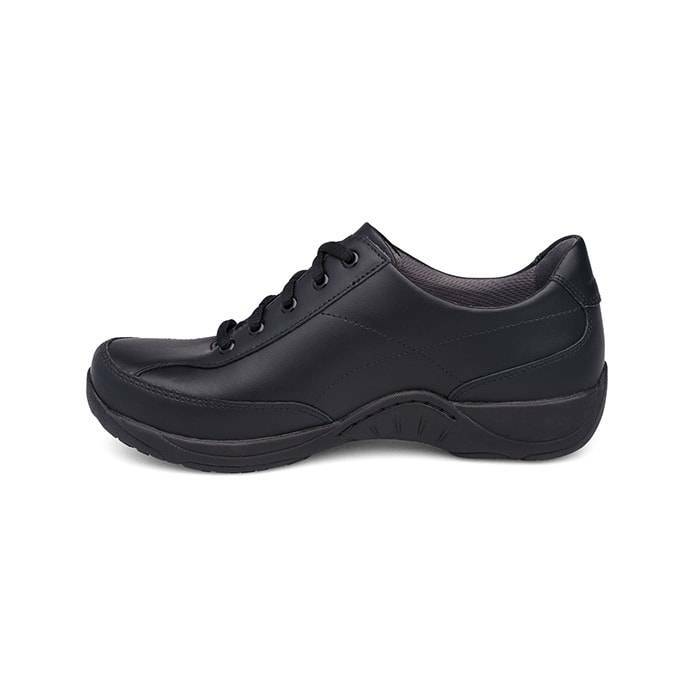 In addition, this shoe is great for nurses who have plantar fasciitis for its removable footbed since it accommodates custom orthotics. 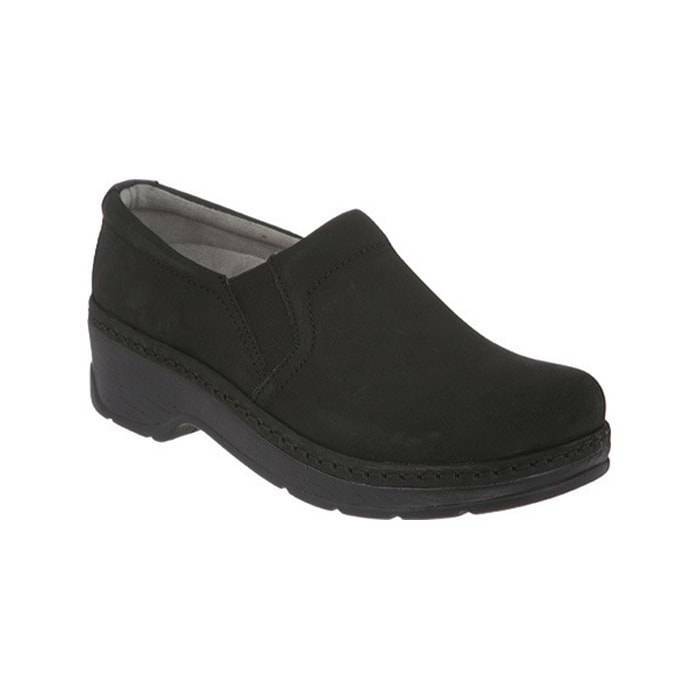 This comfortable, lightweight Softwalk Vantage slip-on is a great alternative to bulky clogs. 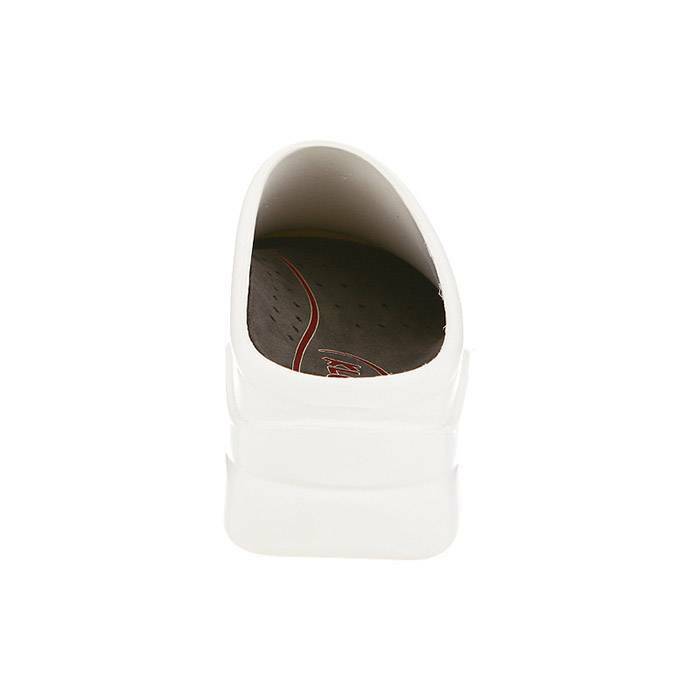 This is a sleek sneaker style that comes in both leather and nylon uppers. As a result, it gives you the opportunity of choosing between leather uppers for durability or nylon uppers for flexibility. 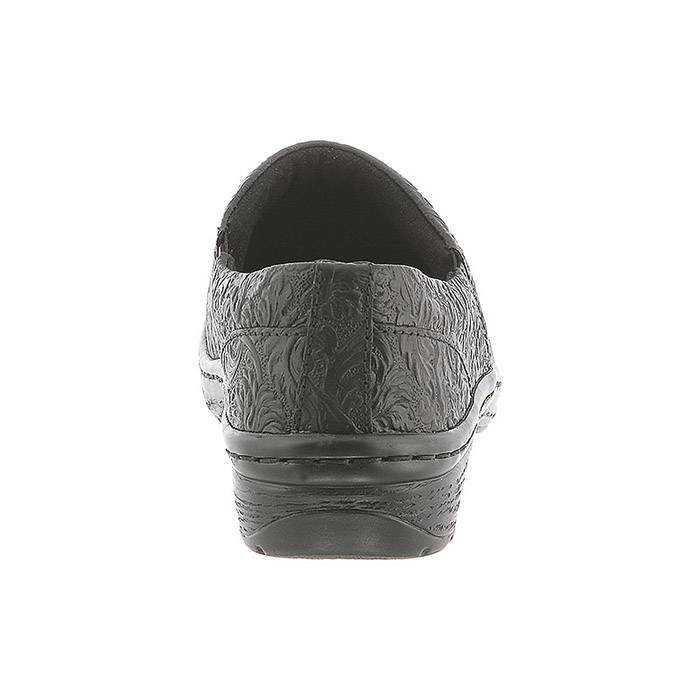 In addition, it features a removable outsole. 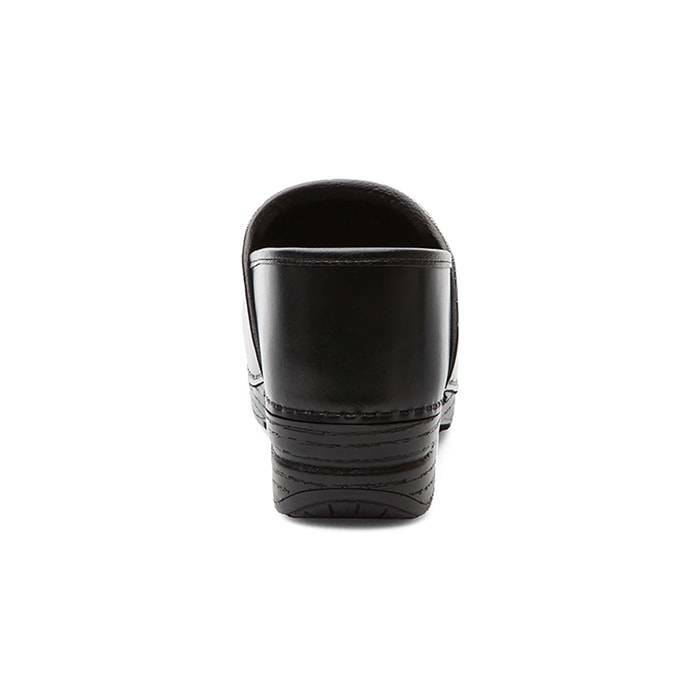 This Klogs Dusty mule slide is a breathable alternative to most traditional clogs. 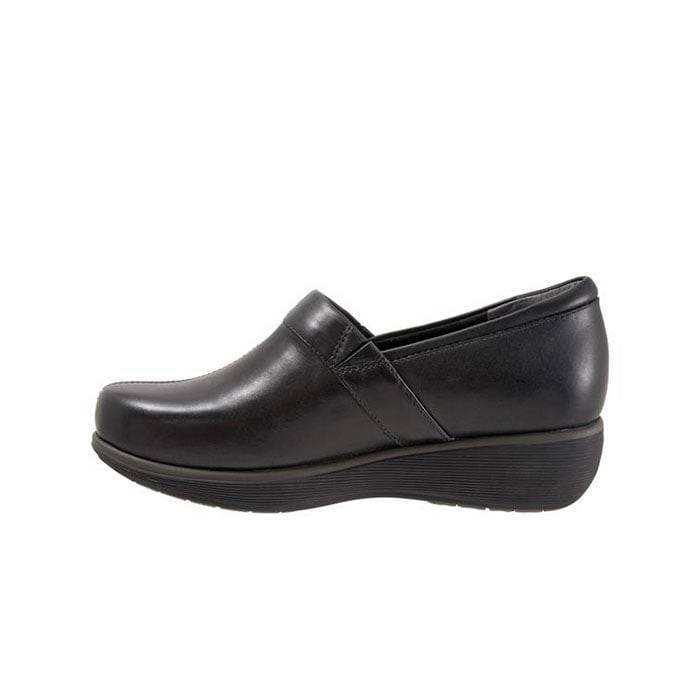 Even though this nurse shoe is slip-on, it still provides you with the comfort you need for your long work hours. 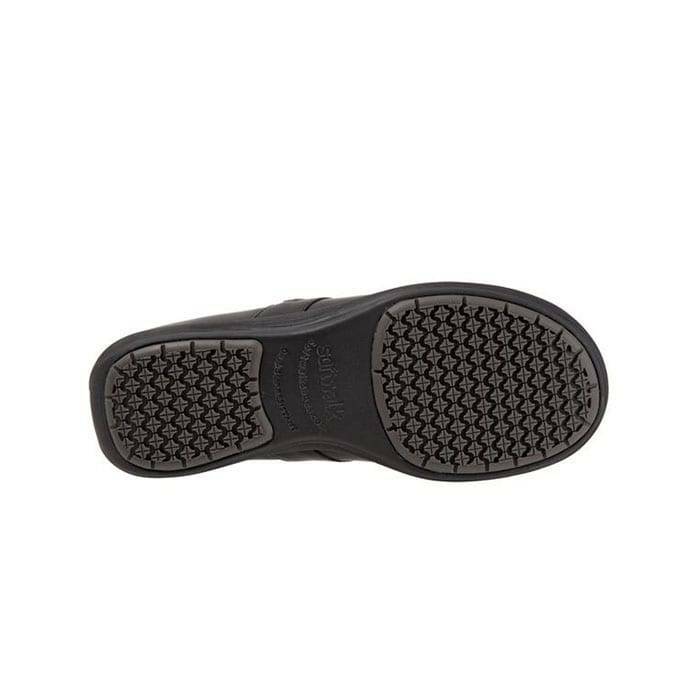 Also, its contoured footbed provides you with great support and stability by keeping your foot cushioned and stabilized with every step. 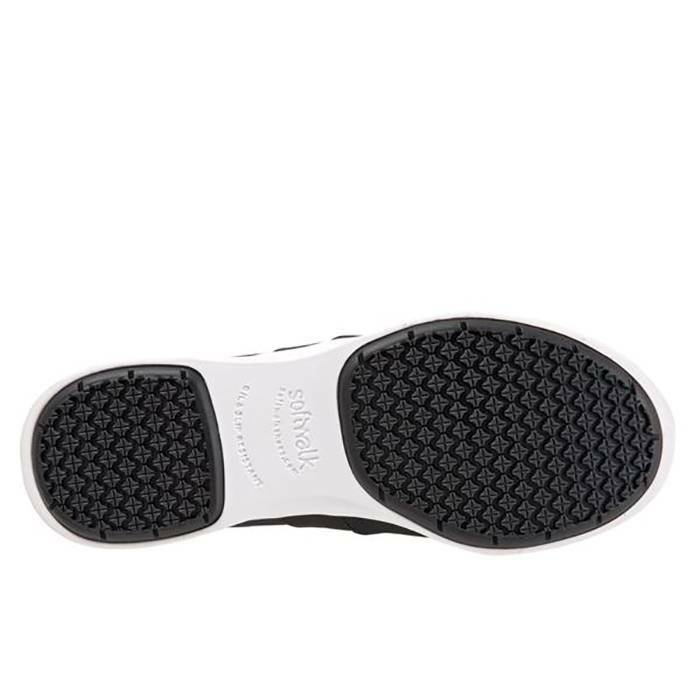 In addition, it features a removable outsole. 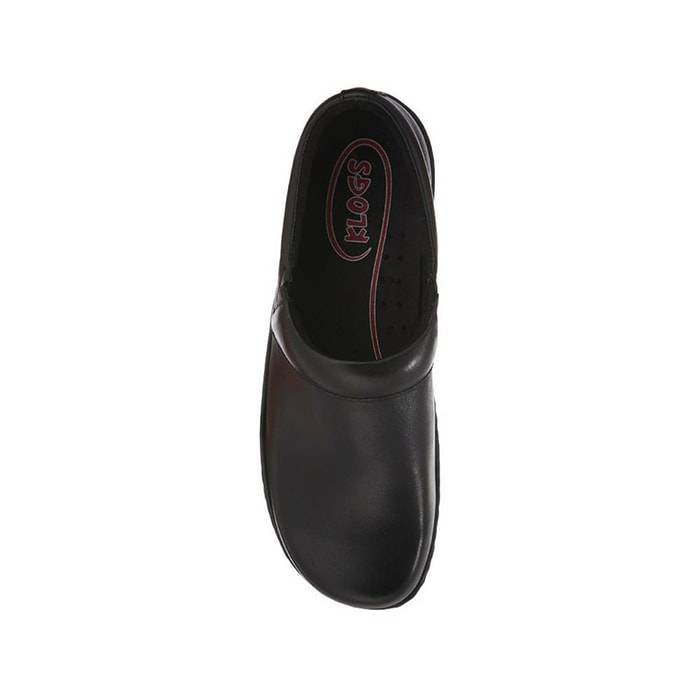 The Dansko Emma is a nice choice for all day comfort whether you are at work or play. This lightweight lace-up is a perfect alternative to clogs and mules. 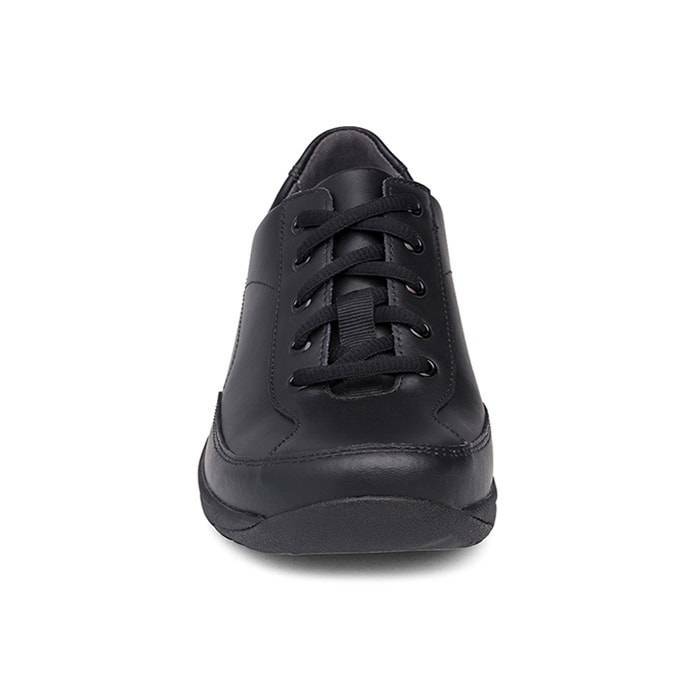 Also, this versatile leather lace-up looks great in most hospital, clinic or office environments. 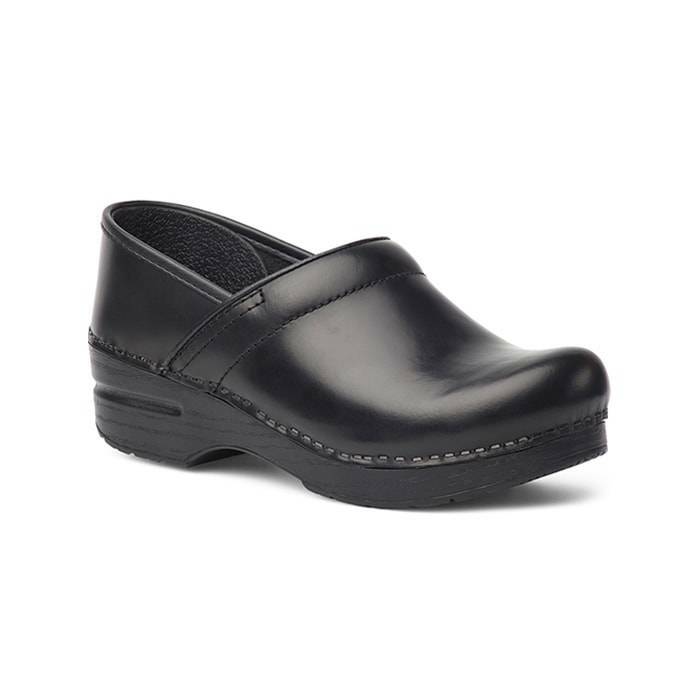 Finally, Emma offers a removable, contoured polyurethane footbed with memory foam that cradles your foot and offers a built in arch support for all day support and comfort. If you prefer Sofwalk for your footwear needs but would like to try something different from the clogs or slip-ons; Vital is your shoe! Similar to the Vantage, this Vital is built with the same performance features as the Vantage. 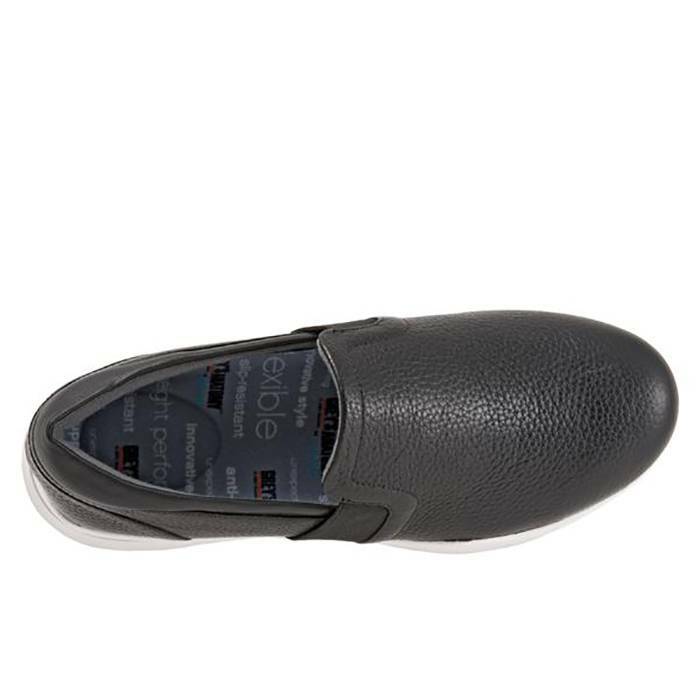 This oxford style sneaker comes with a removable insole to accommodate nurses who wear orthotics for plantar fasciitis pain. 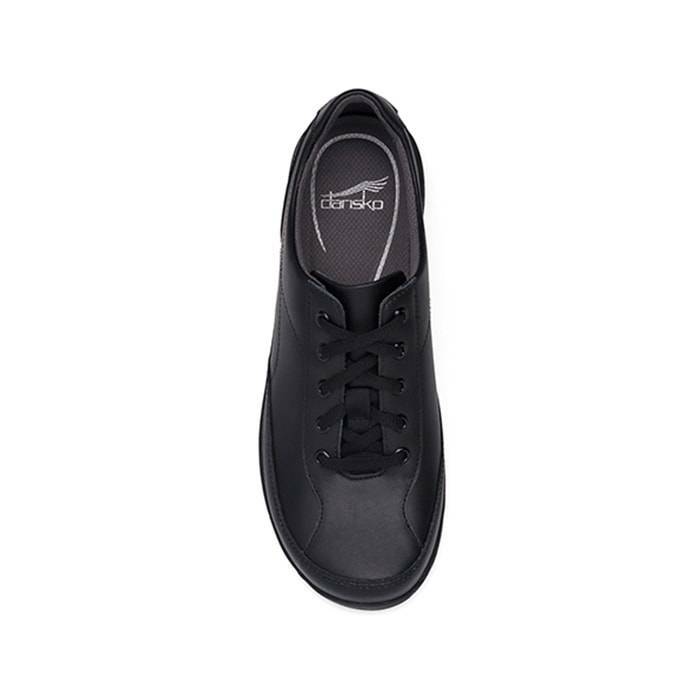 Also, this shoe is slip resistant and stain resistant. 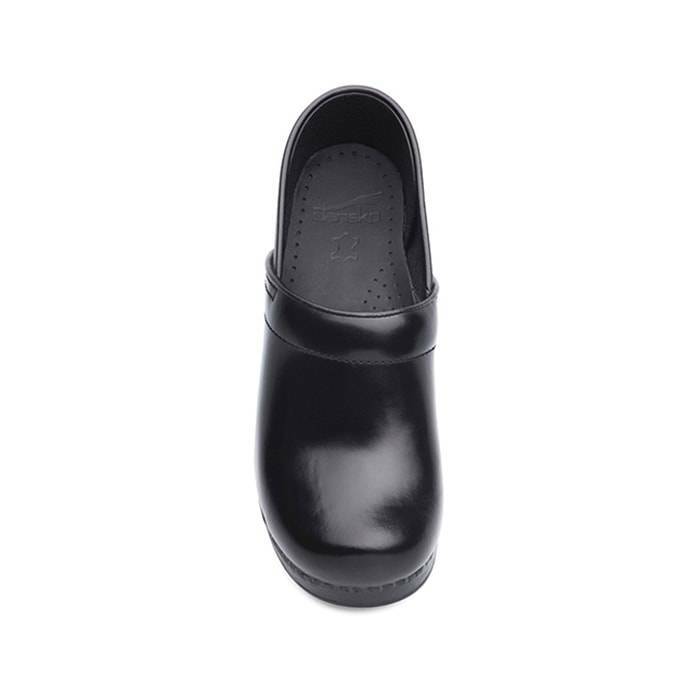 Where to Buy Traditional Comfortable Nurse Shoes? Come into any one of our stores located in Costa Mesa, Anaheim Hills, Rancho Cucamonga, Riverside, San Dimas, Long Beach, Temecula, La Quinta and Palm Desert, today and shop our Traditional Comfortable Nurse Shoes! 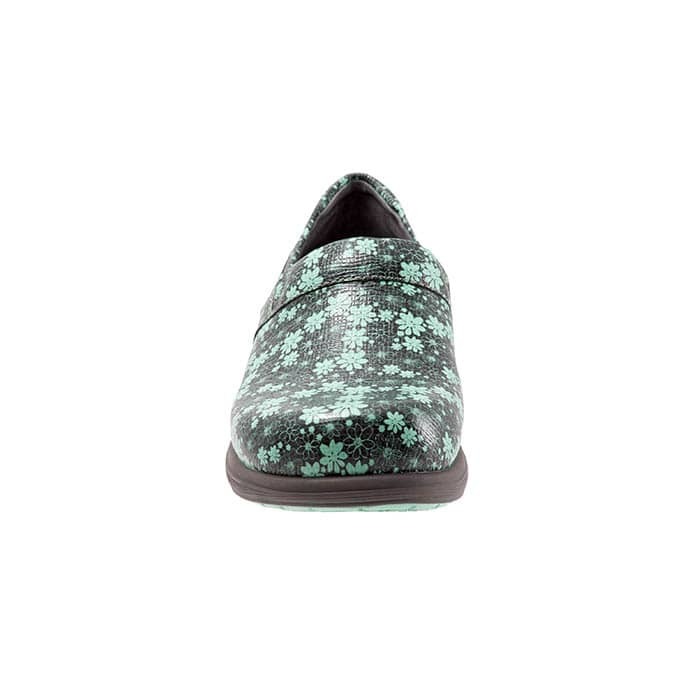 At Lucky Feet Shoes, we carry many comfortable shoes: sandals, heels, walking shoes, running shoes, casual sneakers, clogs, wedges, flats, booties, and boots. Come and visit us today! If you are looking for Traditional Comfortable Nurse Shoes in Orange County, the Inland Empire, Los Angeles County, Temecula or Riverside; we have nine stores to serve you! 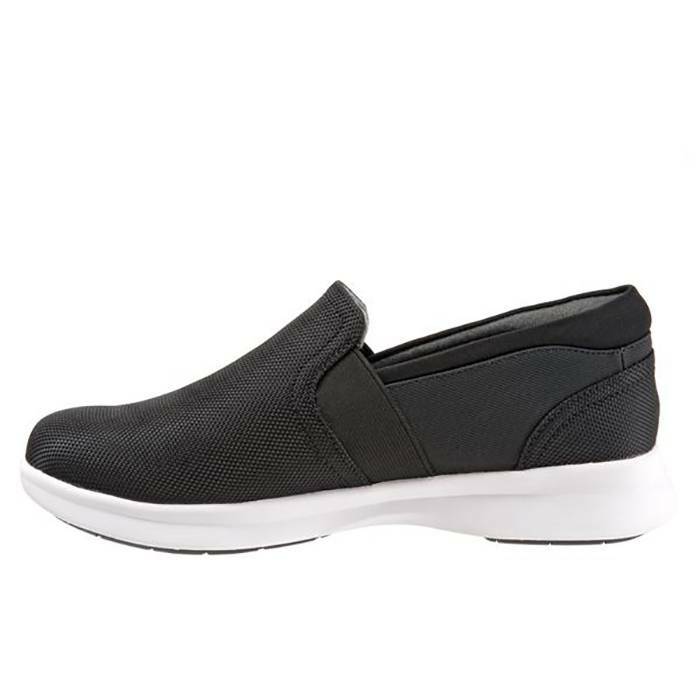 If you are looking for Traditional Comfortable Nurse Shoes in Anaheim, Anaheim Hills, Yorba Linda, Brea, Orange, Placentia, Costa Mesa, Santa Ana, Fullerton, Irvine, Villa Park or Tustin; then visit our store in Anaheim Hills or Costa Mesa. 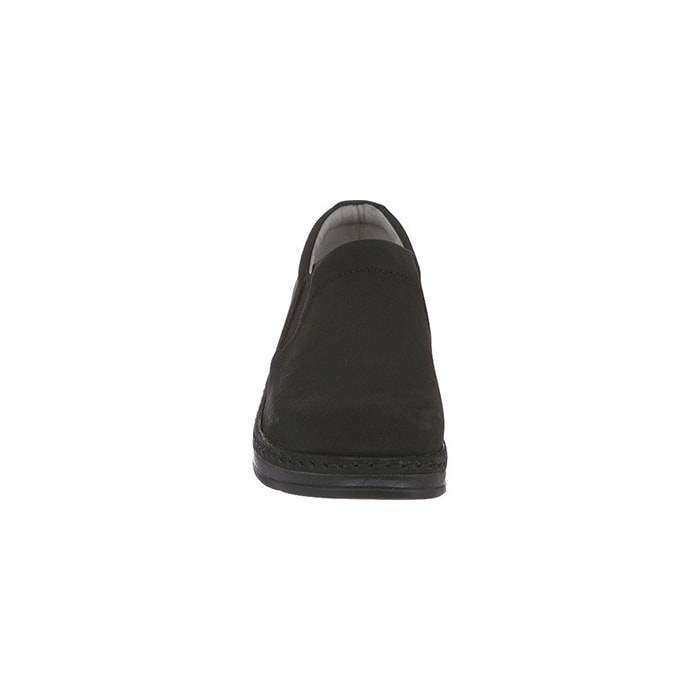 If you are looking for Comfortable Nurse Shoes in San Dimas, Long Beach, Cerritos, Glendora, Pomona, Covina, West Covina, La Verne, Azusa, Diamond Bar or Claremont; then visit our store in San Dimas or Long Beach. 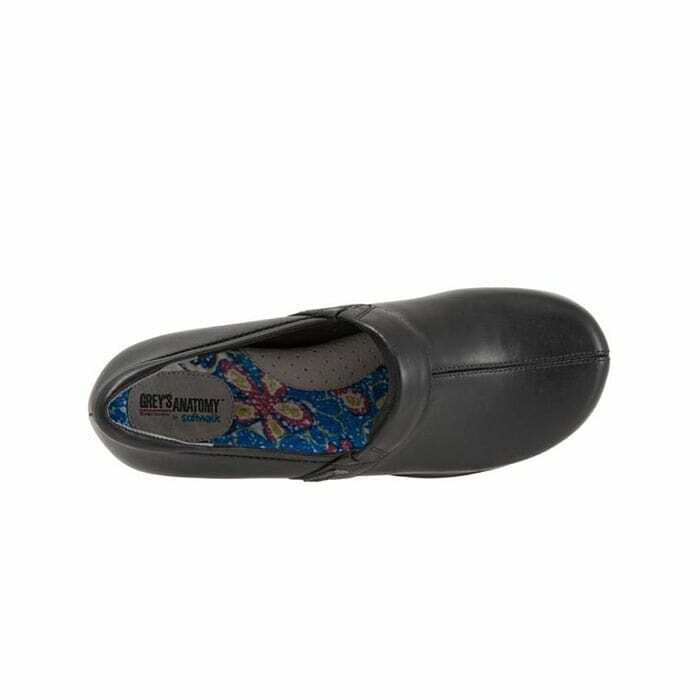 If you are looking for Traditional Comfortable Nurse Shoes in Rancho Cucamonga, Ontario, Upland, Fontana, Rialto, Chino, Chino Hills, Mira Loma, Eastvale, Colton or San Bernardino; then visit our store in Rancho Cucamonga. 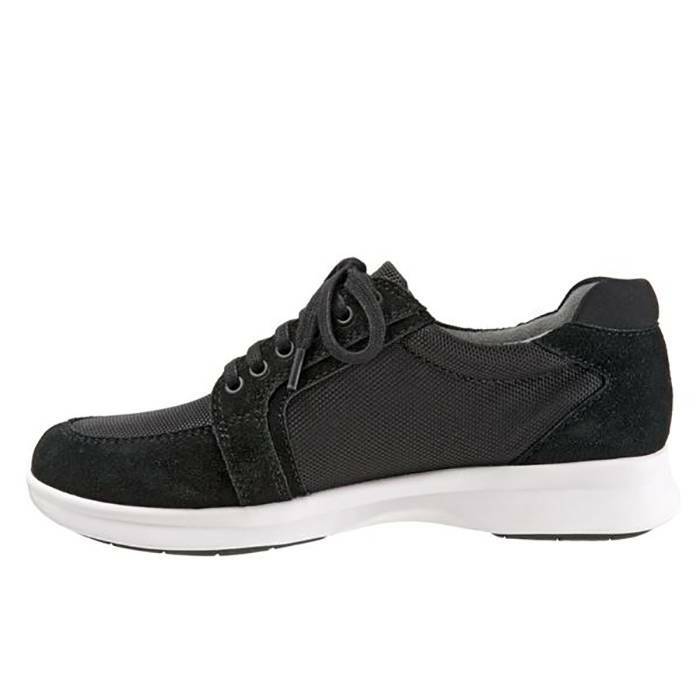 If you are looking for Comfortable Nurse Shoes in Riverside, Moreno Valley, Corona, Rubidoux, Loma Linda, Grand Terrace, Redlands or Norco; then visit our store in Riverside for your footwear needs. 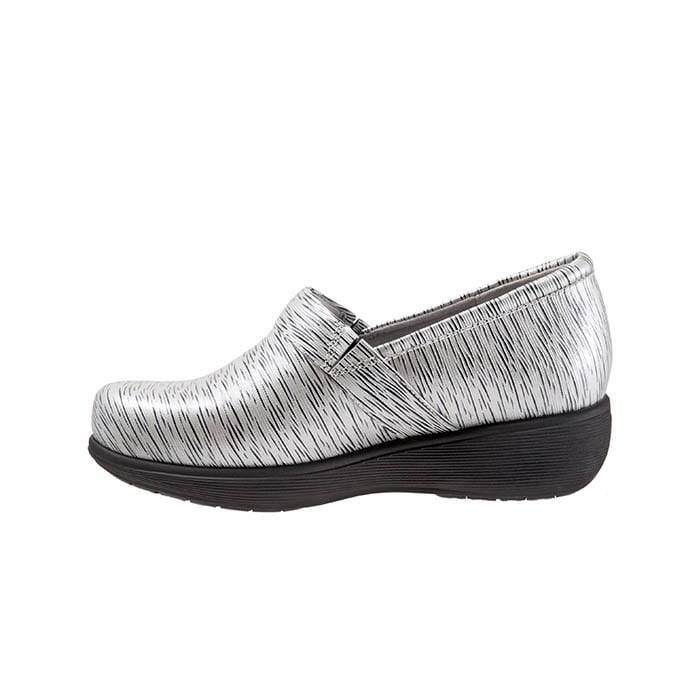 If you are looking for Traditional Comfortable Nurse Shoes in the Temecula Valley, Murrieta, Fallbrook, Lake Elsinore, Wildomar, Hemet, San Jacinto, Pala, Sun City, Menifee, Canyon Lake, Perris, Bonsall or Anza; then visit our store in Temecula. 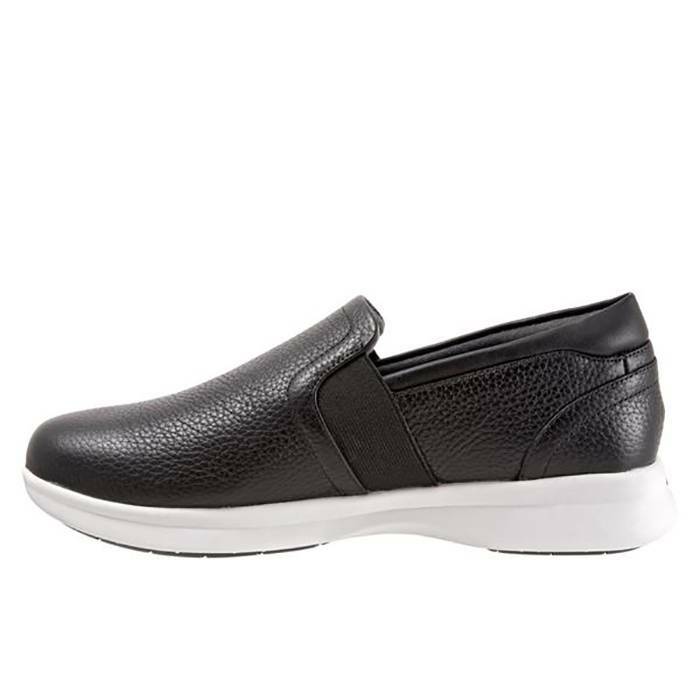 If you are looking for Comfortable Nurse Shoes in Palm Desert, Indio, Coachella, Thermal, Vista Santa Rosa, Rancho Mirage or Bermuda Dunes; then visit our store in La Quinta.